So on Mother's Day we got to Skype with Kelsi! The whole family sat on a couch and put the computer on a chair so we could all see her. Kelsi is doing REALLY well. She is seriously obsessed with her mission and thinks it is so fun! She has an amazing companion, Sister Turner. 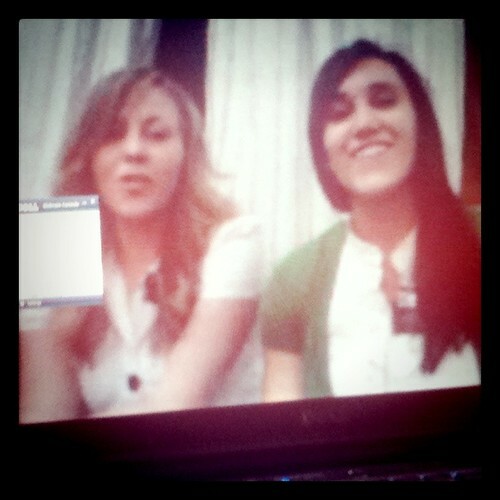 Sister Turner was just waiting to get a companion who would sing with her in church and Kelsi was more than willing to! 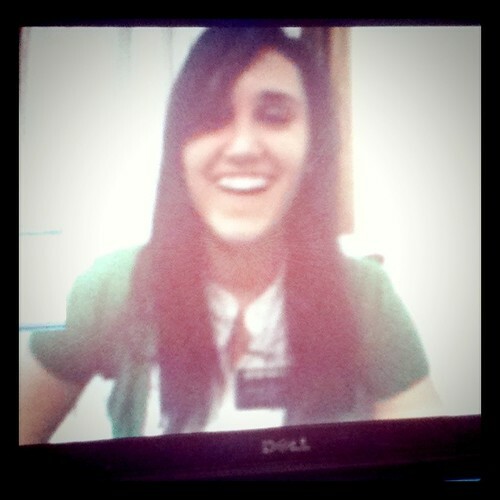 When we skyped with her, Kelsi and Sister Turner sang a song for us in Portuguese. It was really cool! They are singing in this picture haha. Kelsi was just rambling in Portuguese and it sounded so weird coming from her haha. She has been in Brazil for a month and she is speaking so well! Usually they put American missionaries with Brazilian ones so they can improve their language but Kelsi's was good enough so she was put with an American. It was so cute but while we were talking Hunter walked right up to the computer screen and stated, "I can't wait until I go on a mission!" Anyways, here are some random and funny tidbits from her latest emails! "Everyone has good skin here so nobody really wears much makeup. But nobody really has good teeth. In fact, most teeth aren't very pleasant." 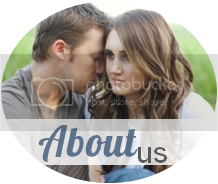 "So along with having hobbies growing up, people love when i clog. Hahahah. I show people some clogging and they start rolling in laughter! People dance samba and that type of dance here so they thought clogging is so funny and always make me do it. Haha." "Nobody in our ward can pronounce Gormley and its really funny. When I got here they said they would practice my name a lot. Our investigator Elias - the other man we are teaching - said that my name has been stuck in his head all week. Haha." Kelsi is speaking about an investigator..."She accidentally marked up my scriptures because she thought they were hers and it was really funny. Yesterday I accidentally dropped an olive on her toe and she died laughing." Awe girl I love this! Check out my $50 Giveaway from Shopkempt!